A group of leading sight loss organisations are today launching a trial of a new, free information booklet to help those newly diagnosed with sight loss. The booklet, Sight Loss: What we needed to know, has been co-produced with 12 people who are living with sight loss and four carers, with the goal of answering the questions, and addressing the concerns, they felt they had when first coming to terms with their sight loss. It also offers practical advice about the type of help and support that is out there for those who have lost or are losing their sight. Every day 100 people in the UK are told they’re losing their sight, many of whom have to manage for years without any help or support. This booklet provides information about the specialist organisations who can provide the necessary practical and emotional support to promote independence and help people with sight loss face the future with confidence. Professor Caroline MacEwen, President of the Royal College of Ophthalmologists, said: “This information booklet has been written by those who are best qualified to do so – people who have experienced visual loss. It contains information that they collectively agree will be helpful for anyone who is experiencing a new diagnosis of sight loss. 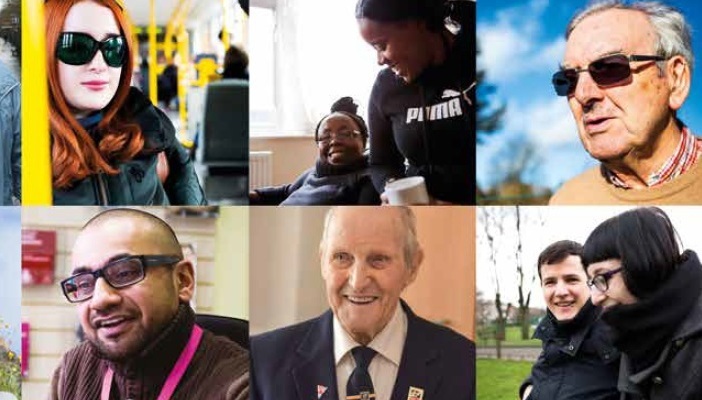 The Association of Directors of Adult Social Services, Blind Veterans UK, Guide Dogs, RNIB, the Royal College of Ophthalmologists, VISION 2020 UK and Visionary teamed up to produce Sight Loss: What we needed to know, in collaboration with blind and partially sighted people. The team has been shortlisted for a Vision Pioneer Award 2016 in the category of ‘Team of the Year’.